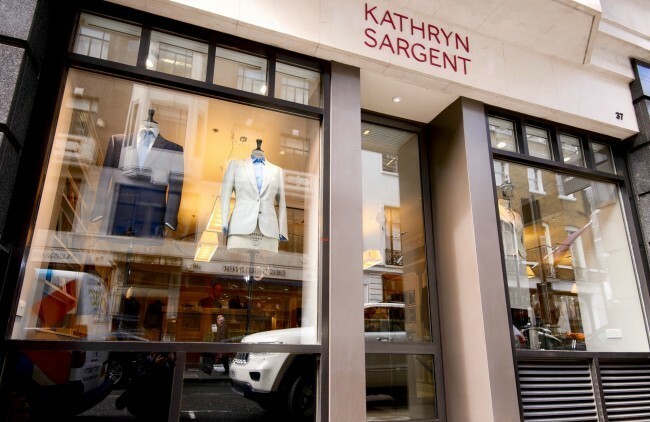 Wednesday this week, friend and client of Hawthorne & Heaney, Kathryn Sargent opened her new seasonal premises on London’s prestigious tailoring location, Savile Row. This makes Sargent the first female Master Tailor on the Row in its 213 year history. 37 Savile Row was a flurry of activity as reporters gathered for an interview with the lady of the hour herself. The press coverage has been quite extensive with reports from the BBC, International Business Times and the Telegraph to name but a few. This amazing bespoke beaded stag was from a recent project we did with Kathryn for a ladies jacket where a pair of these embroideries featured on the sleeves of the piece. 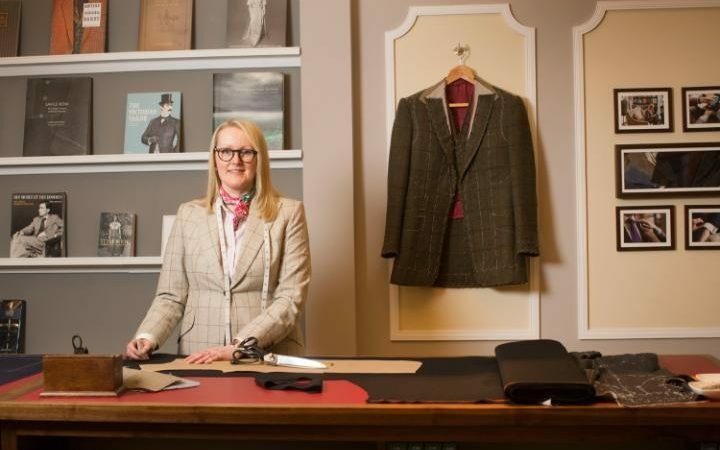 Kathryn also has Hawthorne & Heaney hand embroider a bespoke label for each of her bespoke suits made for clients, a beautiful finishing touch that sums up her outstanding ethos of attention to detail and excellent customer service.